(This is our first in what we hope will be a series of interviews with folks who like to make stuff). Catherine Newman, author of Waiting for Birdy, and the Ben and Birdy blog, is a fantastic cook, jigsaw puzzler, trash-talker, lollygagger, and friend. She’s also always making something. I recently sent her some questions to find out what she’s been up to lately and learned so much about her that I may now send out questionnaires to all my friends. Try it–so illuminating! I personally feel that the homemade pube/dryer lint beads (yes, you read that right) could find a home on Etsy. Thanks, Cath! What kind of crafter are you? Plotter and planner or just-wing-it type? A little of both. I am a wing-it-type overall, very scrappy and always wanting to use stuff we already have in the house, and not follow a pattern and not wait too long for the glue to dry. But if there’s something I have in mind, I will try to make sure I have the materials I need. What type of crafts do you generally gravitate to? Oh, many, many types. Like you, I love doing tiny things. 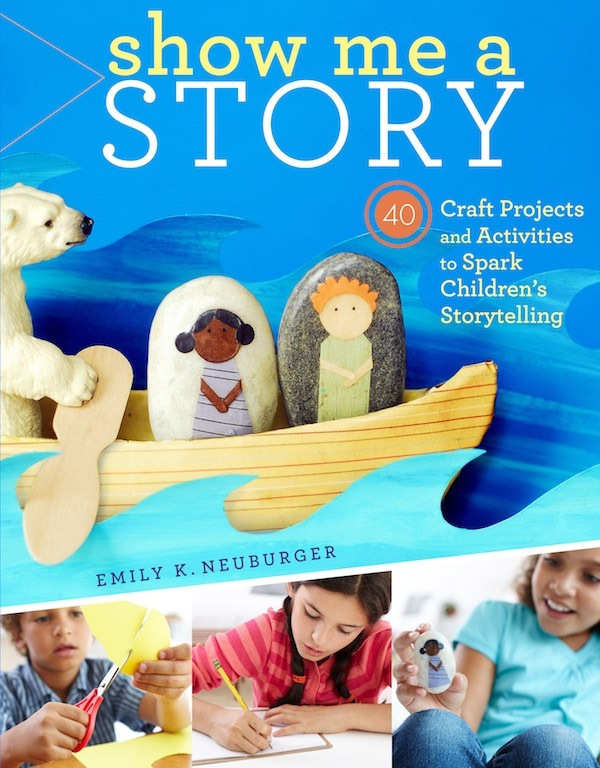 My friend Emily [Neuburger] published a book called Show Me a Story, and the signature project is something called “Story Stones” where you basically modpodge a miniature paper collage onto a rock, and I could have made those forever. 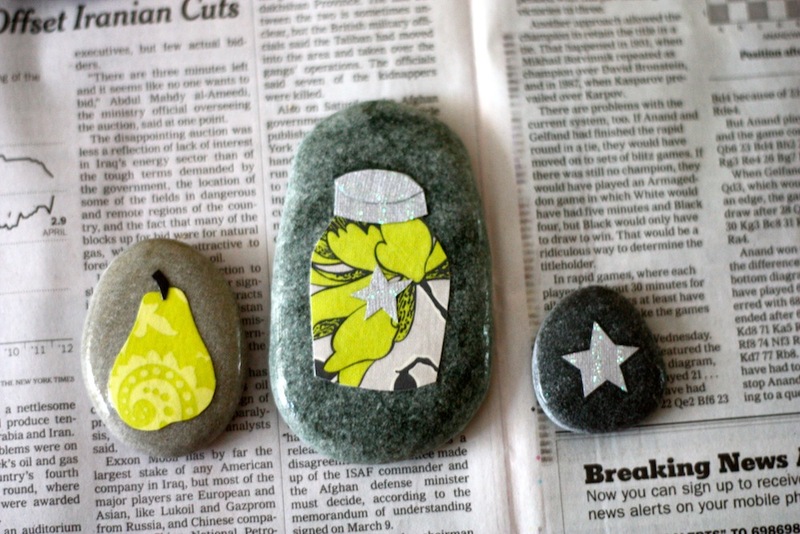 I did a mason jar, a pear, a cup of coffee, and a star. I was technically only there to help my daughter, but I think she left the table long before me. (so glad I’d had the random impulse to fill a bag with stones at the P.town beach!) I also love anything that involves turning clothes into better clothes (cutting t-shirts apart to make skirts, e.g.) or that involves felting wool sweaters and cutting them up and making patchwork blankets. What is the weirdest thing you’ve ever tried to make? Your biggest Martha Stewart moment? Your most spectacular craft snafu? My biggest Martha Stewart moment? Gosh. Those wool blankets are so gorgeous I can’t even be modest about them. So maybe that. But weirdest? I have made prank barf (out of glue and paint and oats). I tried to make beads out of dryer lint, and they were so disgusting, with pubic hair sticking out of them, that we couldn’t stop laughing. Oh, another MS moment: I made the kids velvet/cashmere (repurposed fabrics) cupcake stuffies for xmas, and they came out so cute! I was copying something Birdy had seen at Barnes and Noble, only mine were nicer. I know you are great at including kids in the kitchen–how about with craft projects? Do you prefer family crafting or a more self-sufficient, Thoreau-style “leave me alone in my cabin by the pond” type of crafting? I really, truly like both. We have this game Modern Art–it’s a very complex board game with an auction theme–and all the art in it was so terrible. There are, like, 100 pretend paintings and they were all so ugly. So the four of us sat down and made all new tiny paintings for the game, and it was one of the best days of my life. So I love that–love sitting with the kids to make Fimo donuts, or beading together. But I also love to be just me doing something, like sewing. 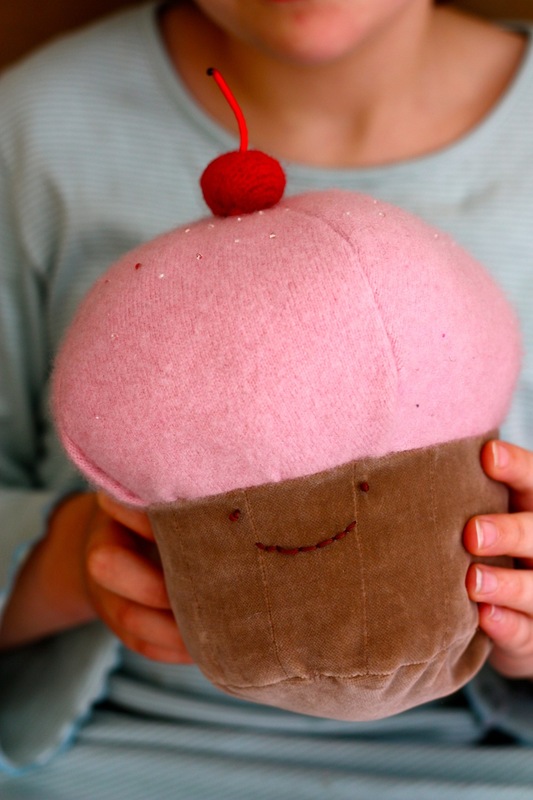 What were the most mutually satisfying and successful craft projects you’ve done with kids? Ah, please see above! Modern Art cards. Artist Trading cards, which are just little magazine collages we do on cut-up cereal boxes, then cover in duct tape. Love those. As far as mama-kid craft projects go, what strategies would you recommend to avoid a messy end of tears and recriminations? Ah! That’s a good question. I have surprised myself by being able to bite my tongue and not offer the kids all of my excellent advice, even though it would make their trivet or puppet or coin purse SO MUCH NICER. Who/what is your current craft inspiration? I love the book Cute Stuff for inspiration when crafting with kids, especially when we’re trying to think of presents to make people. I love Show Me a Story (above). I love Alabama Chanin for sewing, and my friends’ sewing book Improv Sewing [by Nicole Blum and Debra Immergut]. I am making Birdy a patchwork wool blanket from all of the aqua and turquoise sweaters I’ve been saving and felting for years. I made Ben a pink one. 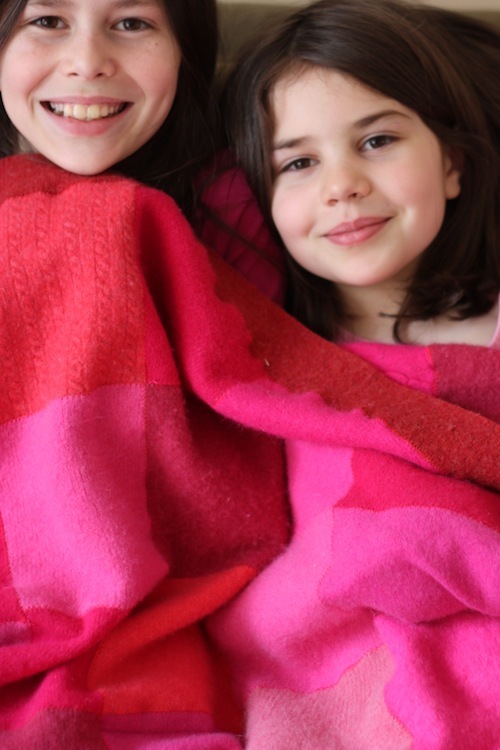 They like to say that these are their “college blankets,” which makes me want to cry. 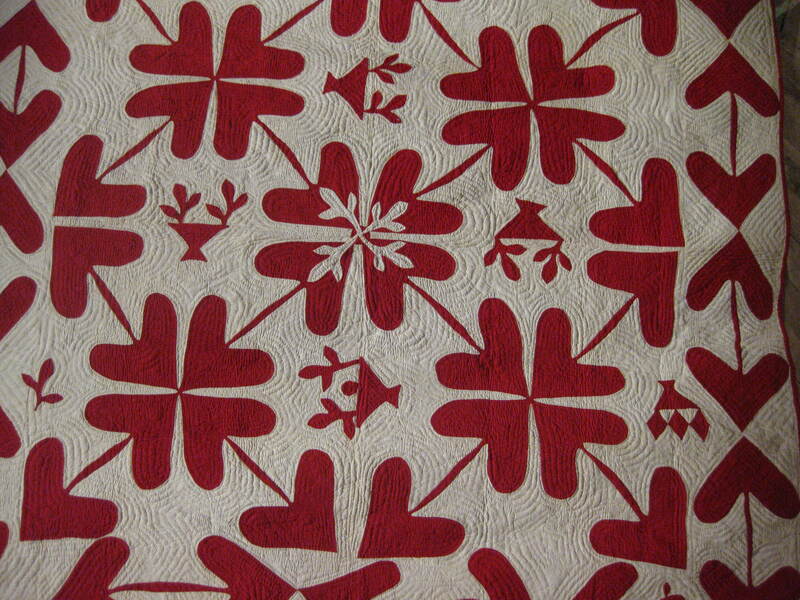 I took a day off work on Monday to go to the red-and-white quilt show at the Armory, thinking it would be a nice quiet day. I was not prepared for the busloads, literally, of ladies coming to town especially for this show. 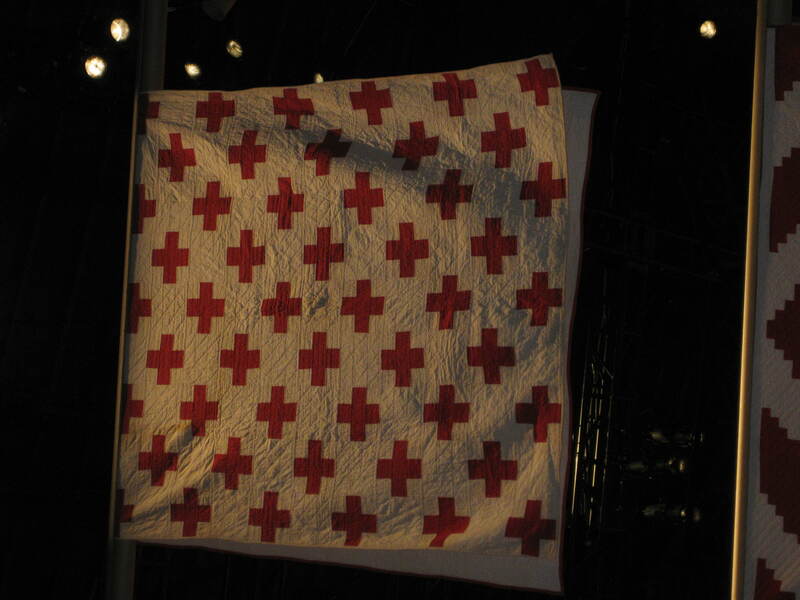 The quilts, particularly the way they were displayed, hanging back to back up to the rafters of the massive Armory, were stunning, and a little overwhelming. 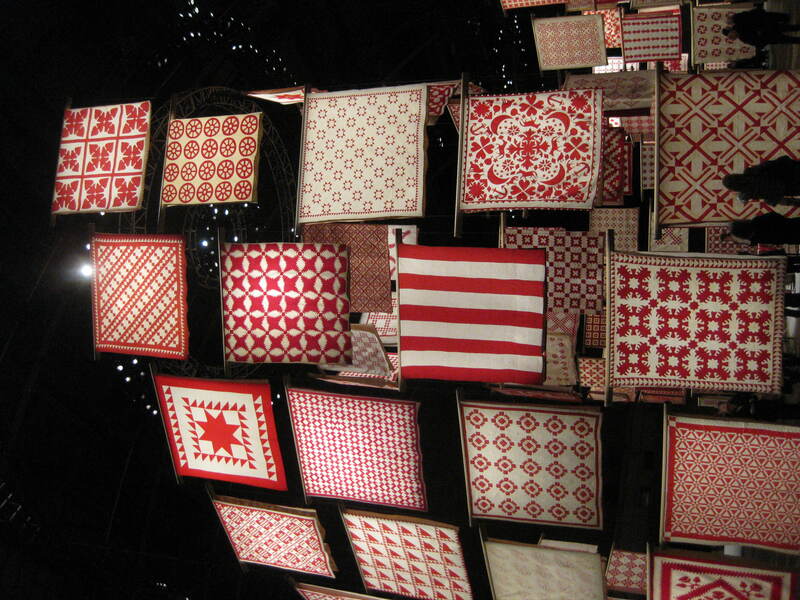 The curator cleverly arranged the quilts in circular “rooms” so you could also take in smaller groups at a time. Almost as interesting were the attendees. The average age was about 65, and many came as part of a tour, with their friends or quilting clubs. I overheard many women who had visited the show several days in a row. There was no idle chit chat; these women were there to talk about quilts, period. Walking around, I felt a little bit like when I blithely signed up for swim camp in middle school because I liked to swim, for fun. I found myself swimming laps for five hours a day with all-state athletes in serious training. I came home with a chipped front tooth (racing dives) but in tip-top shape. Just like the girls at swim camp, the quilters were a friendly bunch, and they were happy to chat about techniques and patterns with us novices. One woman very kindly explained reverse applique to me and one of the very few gentlemen in attendance. I think he just wandered in, the exhibit was free after all, and found himself awash in ladies and decided to stick around. 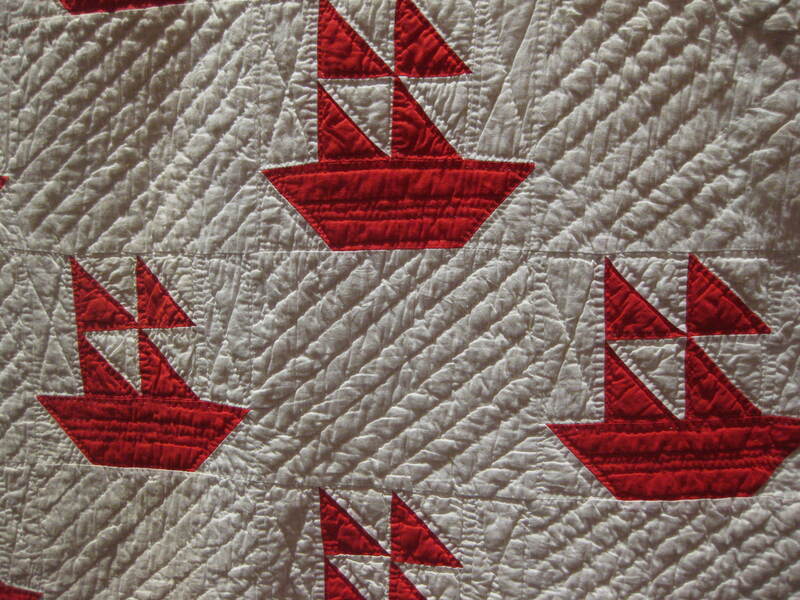 The exhibit was true to its name; the quilts ranged from intricate to bold graphics, and there were some very sweet sailing ships, houses, and airplanes. I’ve included details from just a few of my favorites.